Digital radio listeners in parts of Derbyshire will be able to tune in to local radio via DAB from next week, when the first local DAB transmitter is switched on. BBC Radio Derby confirmed that from Wednesday 23rd July, listeners within a 5-10 mile range of the Quarndon transmitter, just north of Derby, will be able to tune into a new multiplex of local and regional radio services. The new multiplex, or bundle of digital radio stations, will be found on VHF Block 10B. Tests of the new service were first spotted in May. The new multiplex will be available from just after 8am on Wednesday 23rd July 2014, initially in the Derby area on VHF Block 10B. The frequency is 211.648 MHz. 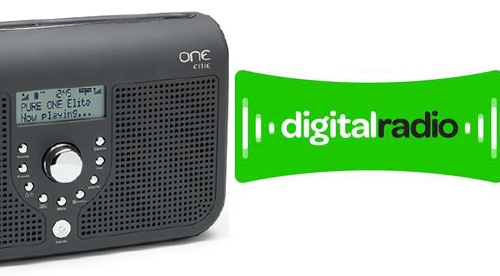 Some DAB digital radio sets will need to go through a “full scan” to pick up the new services for the Derby area. Depending on your radio, you may need to press and hold a button that is labelled “scan”, “auto”, “tune mode”. Some radios may allow you to enter a menu and select a “full scan”. Coverage of the Derbyshire DAB service will be expanded later in the year, when transmitters at Lichfield and Stanton Moor will be added to improve coverage in areas including Burton upon Trent and Matlock. The East Midlands version of Smooth Radio is not in the launch line up, but can be heard in some areas on alternative frequencies via DAB as well as on FM. It's been seven years since the licence to operate local DAB digital radio services in Derbyshire was first advertised. The licence was subsequently won by Now Digital East Midlands, a consortium of Arqiva, Global Radio and Sabras. The launch of local DAB in Derbyshire was held up as the industry grappled with major changes to commercial radio and disagreements over funding and expansion. Derbyshire is the last part of Central England to get local DAB stations.